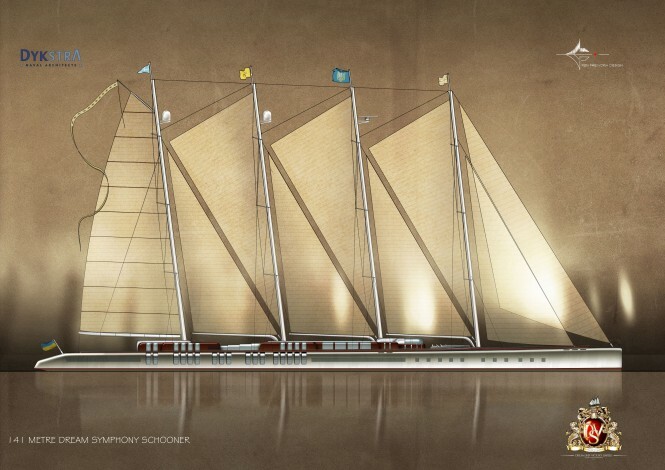 Only a few months to go, and the construction of the largest, 141 m Sailing Yacht Dream Symphony will commence at the Turkish shipyard Dream Ship Victory. Not only she will be the largest superyacht in the world, Dream Symphony is also astounding with her all wood construction and an innovative, eye-capturing design created in collaboration between naval architects Dykstra & Partners and Ken Freivokh Design. Her launch is scheduled for 2016. 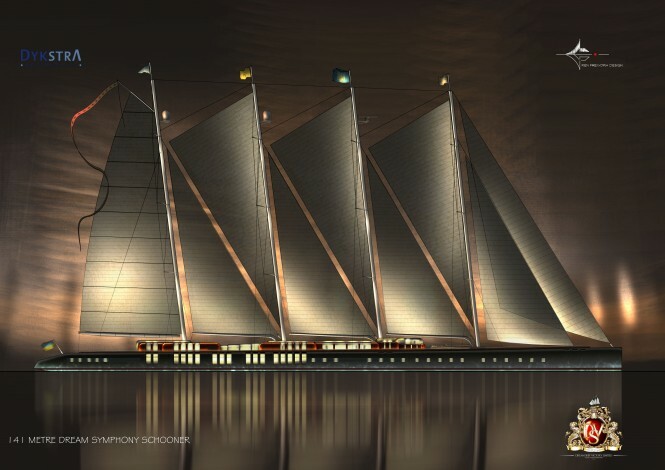 The Dream Symphony megayacht project started just after Dream Ship Victory shipyard have attended the 2010 Monaco Yacht Show and signed a contract for her design and construction. The contract was signed between the above mentioned naval architects Dykstra & Partners, her exterior stylists from Ken Freivokh Design and Valeriy Stepanenko, the Owner of Dream Ship Victory shipyard. On the 9th of February, the builders, designers and naval architects of the 141m Dream Symphony Yacht, met in Amsterdam to finalise the design and technical proposal under the direction of Valeriy Stepanenko. Following excellent wind tunnel test results and approval of the exciting and quite unique concepts developed by the design team under the direction of Valeriy Stepanenko, the project has now received a full and enthusiastic go-ahead to move forward to construction. The keel laying will take place at Dream Ship Victory’s facility in Turkey later this Summer. Once launched, Dream Symphony megayacht, that has excited all of the yachting world, will take over the title from the currently longest superyacht EOS measuring 93 m.
Megayacht Dream Symphony’s design has been described by Ken Freivokh as “classical with a twist”. The pictures in this article show Dream Symphony superyacht with wonderful traditional features, incorporating contemporary design and beautifully flowing modern lines. The project will boast excellent green credentials through use of carefully selected tropical woods as a totally renewable resource. As described by the shipyard themselves, their ships “are magnificent pieces of the man’s creation, a man who loves classics, who is romantic and who wants to experience the feeling of discover”. Dream Symphony luxury superyacht is promising to be a true masterpiece. 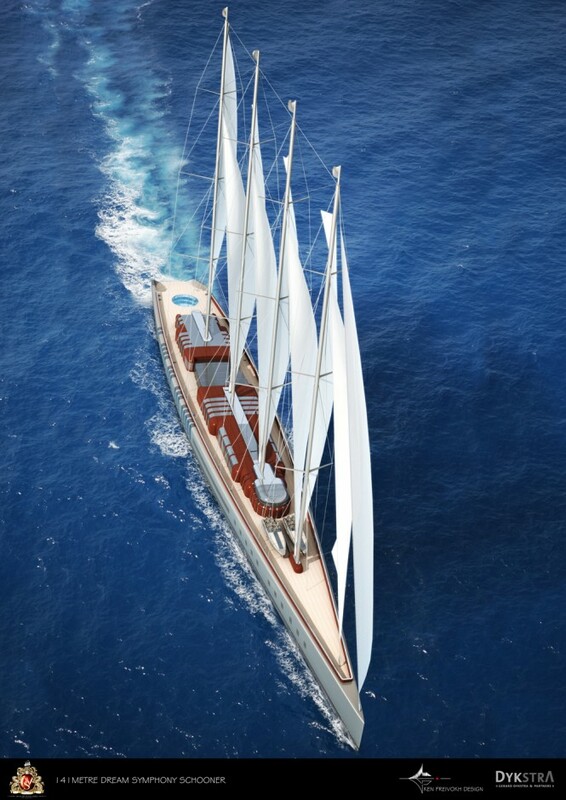 The yacht will be created by “hands of many talented craftsmen, and employ the modern technologies in wood lamination, advances in sail control and other comfort providing systems.” This shows, that Dream Ship Victory are taking great pride in attention to detail and produce only the highest quality vessels. 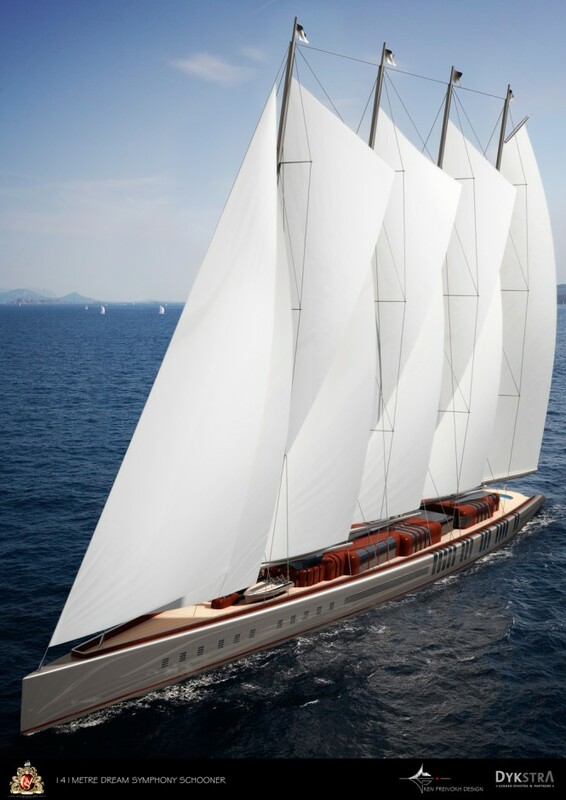 The company has a very strong reputation for creating some of the world’s most exclusive megayachts, such as the 65-metre classic schooner Mikhail S. Vorontsov. Her hull was built at the Dream Ship Victory shipyard in Turkey and earlier this year was transported to Balk Shipyard in Netherlands. There are two other, very exciting yachts in construction at DSV’s yard. One of them is the 44 metre classic schooner Imagination and a 53.4 metre sailing yacht Princess Maria. All of these three yachts are scheduled for their launch in 2012.